In a nutshell, jailbreaking frees your iPhone from its limitations, allowing for all sorts of neat software to be unleashed. However, if you’re going to jailbreak, you need to at least make sure that you can. Understand this: every new release of iOS requires its own jailbreak. There’s not one for iOS 6.0 yet, which means that if you’re holding a shiny new iPhone 5 in your hands, it’s not going to be able to get jailbroken just yet. 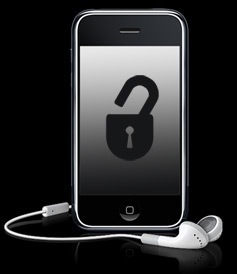 However, there are plenty of people working on it, which means that a jailbreak could be in the works. You just never know. If you want a fast way to check it out for yourself, you can look at a web app called JailbreakStatus. If you visit the JailbreakStatus site on your iOS device of choice and look at your firmware version and device you want to jailbreak, a notification will let you know where you stand. It gets even better — not only will you know where you stand, you’ll also be able to see what tools you’ll need to use to get things started. This isn’t a feature rich app — it’s straightforward by design, and we’re kind of a fan of that. Check it out for yourself, right now. 3. How to access the scientific calculator. This is pretty easy. When you are using your calculator just rotate your iPhone into landscape mode and vuala.. you are now able to make scientific calculations. 4. How to take a screenshot. By pressing the Home and “Power/Sleep” button simultaneously at the same time your phone will automatically make a shot of your actual screen and save it to the Camera Roll. Holding (5-6 seconds) the Home button will just do that for you.